After keeping Apple TV Software in Beta testing for a long period, Apple has finally releases its newest and final software update for Apple TV 6.0 (Build: 11A470e) for Apple TV 3G and Apple TV 2G with the introduction of several new features like AirPlay from iCloud, iTunes Radio, iCloud Photos and Videos, iTunes Music Store etc. so if you're running an old beta version of Apple TV software than its time to update your device to the newest version. 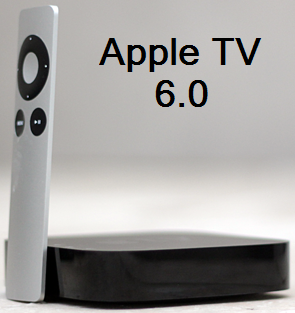 Download Apple TV 6.0 IPSW Software for Apple TV 3G/2G via Direct Links available below. The new software update of Apple TV 6.0 (Build: 11A470e) for Apple TV 3G/2G has bought new iTunes Music Store which will allow users to buy, browser and play any music from any part of your home or office and its accessible from everywhere, not only this users can also see images and videos from shared photos stream wirelessly and you can also play videos from iTunes in the Cloud. With iTunes Radio, USA users can play millions of songs from anywhere. So what you're waiting for? Just Download and Install Apple TV 6.0 Software Update on Apple TV 3G/2G through iTunes now! Apple TV 6.0 IPSW for Apple TV 2 Gen.